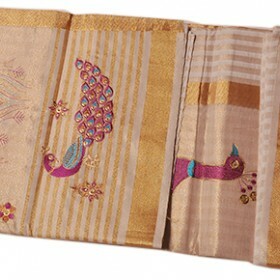 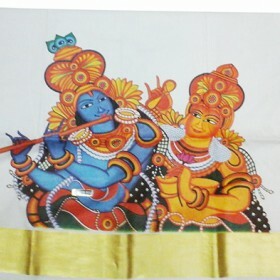 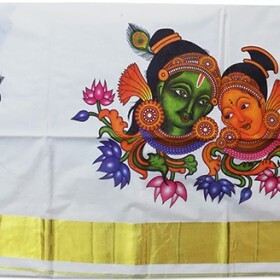 Be tradition with your Kerala traditional hand painted saree of pure cotton fabric with a variety amazing design from MALABAR SHOPPING. 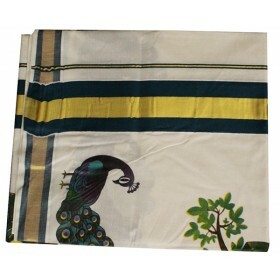 It is off white saree having green shade background along with a vector tree having facial hand painted design on pallu and top of the fleet we have leafy design on border gives an extraordinary look. 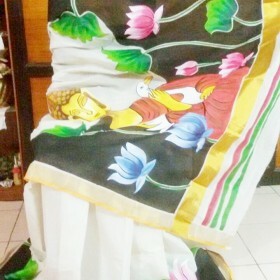 When we wear this saree on bottom fleet we have green and yellow shade along with vector design on border makes it simple. 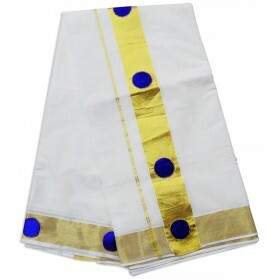 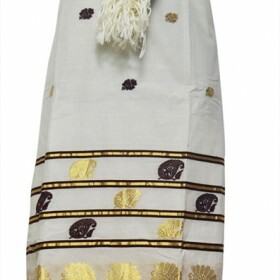 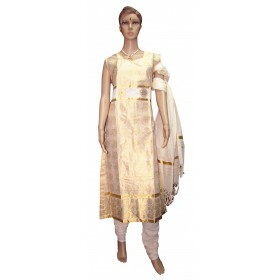 This will be a perfect ethnic wear for your special day.